essential book- worst narration ever! The path through trauma is one of the most difficult anyone can tread. With The Healing Trauma Summit, you’ll find that you don’t have to do so alone. 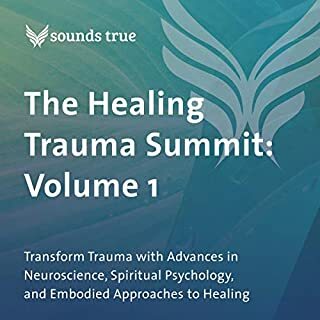 Featuring some of the most prominent voices in the field, this audio collection will give you resources and options for the journey out of trauma and toward peace. 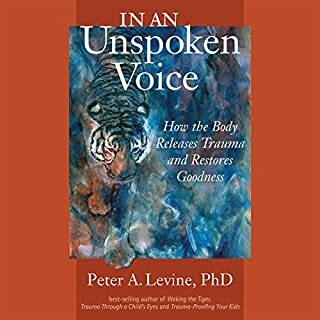 The best-selling guide on childhood trauma and the enduring effects of repressed anger and pain. Why are many of the most successful people plagued by feelings of emptiness and alienation? This wise and profound audiobook has provided millions of people with an answer - and has helped them to apply it to their own lives. 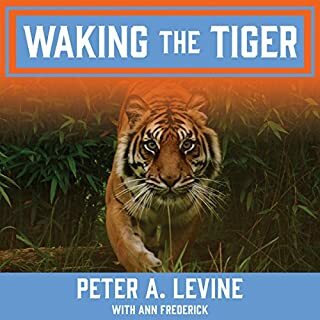 In Trauma and Memory, best-selling author Dr. Peter Levine (creator of the Somatic Experiencing approach) tackles one of the most difficult and controversial questions of PTSD/trauma therapy: Can we trust our memories? While some argue that traumatic memories are unreliable and not useful, others insist that we absolutely must rely on memory to make sense of past experience. Dr. Levine suggests that there are elements of truth in both camps. A step-by-step guide to creating wholeness and healing your inner child using IFS, a new, cutting-edge psychotherapy. Understand your psyche in a clear and comprehensive way, and resolve deep-seated emotional issues. Self-Therapy makes the power of a cutting-edge psychotherapy approach accessible to everyone. Internal Family Systems Therapy (IFS) has been spreading rapidly across the country over the past decade. It is incredibly effective on a wide variety of life issues, such as self-esteem, procrastination, depression, and relationship issues. To know your true calling - your dharma, as the yogis say - is perhaps the greatest desire within each of us. And yet, few can say we know our purpose with absolute certainty. Fortunately, there is a time-tested guide - an ancient map - for discovering and fulfilling your unique calling. In The Great Work of Your Life, Stephen Cope walks you through each step of the journey. Internal Family Systems (IFS) therapy is a revolutionary method that allows us to meet and ally with the many distinct parts of our psyche. With Greater Than the Sum of Our Parts, IFS founder Dr. Richard Schwartz reveals how this powerful system can serve us on the spiritual journey. In this six-session audio course, he offers innovative practices to help you heal and harmonize the wounded facets of your self - and in doing so, reconnect with the greater Self that is your true, divine nature. 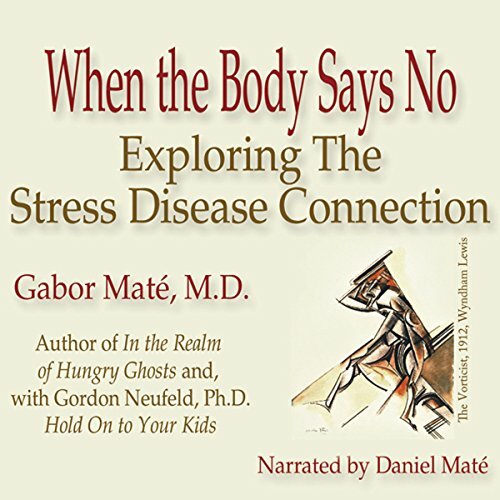 In When the Body Says No, physician and writer Gabor Maté explores the mind-body link and the connection between stress and disease. Can a person literally die of loneliness? Is there a relationship between the ability to express emotions and Alzheimer’s disease? Is there such a thing as a “cancer personality”? Drawing on scientific research and years of experience as a practicing physician, Maté provides answers to these and other important questions about the role that chronic stress and one’s individual emotional make-up play in an array of common diseases, such as arthritis, cancer, diabetes, heart disease, IBS, and multiple sclerosis. Maté carefully explains the biological mechanisms that are activated when stress and trauma exert a powerful influence on the body. He illustrates his ideas with interviews of famous people who've experienced chronic illness (Ronald Reagan, Gilda Radner, Stephen Hawking, and Pamela Wallin), interspersed with intimate life stories collected through his years of practice. Chapters deal with stress, emotional repression, hormones, the "cancer personality", the biology of relationships, and the power of negative thinking. He backs up his claims with compelling evidence from the field, citing many controlled studies that have demonstrated correlations between psychosocial factors and disease. 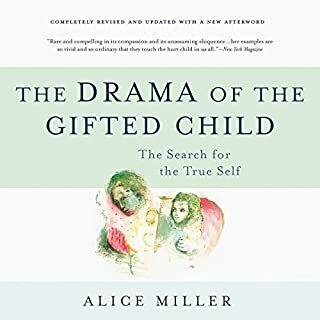 Maté emphasizes that to decipher the hidden factors in chronic illness is not to blame the victim, and the book is free of assumptions that all illnesses are the result of ego issues. Rather, he provides the opportunity to address the unintentional transmission of stress and anxiety through the body and across generations. Dr. Maté has a gift for making complicated medical findings accessible for the lay-person, while still relevant to the professional. Both will be grateful for the final chapter, "The Seven A's of Healing", in which Maté presents an open formula for healing and the prevention of illness resulting from hidden stress. Who would you have cast as narrator instead of Daniel Maté? The reader was fine. It was the replaying or rereading that was super annoying. I am sure that was an editing mistake. There were 4 different times that a long passage was begun to be read again as soon as it was finished. I had to fast forward for several minutes each time to get to the correct place. So annoying! Who has time for that? This book has some great qualities. The Chapter titled "The biology of relationships" was so good that I purchased the book. Too many anecdotes... They do blend together some. Also, somewhat repetitive.... Both in content and actual production. As other reviewers mentioned, about four different times about a 30-minute portion loops back through and repeats itself. I am not referring to the author repeating himself for emphasis, I mean this is a production error. I might recommend that Audible remove this book until the production error is corrected because it is quite annoying. Gabor Mate's work is a healing one. I recommend this book to anyone, whether ill with disease or not. This research is revealing and tears back the curtain from where our ailments hide. In our fear, unexpressed emotions, and a lifetime, generations even, of suppression of the soul. loved the book and the way the author tells a story. however, the recording kept repeating chapters or just restarting the same one. A compassionate look at the root cause of a hurting world. Gabor Mate is amazing. This book is a life changer. My understanding of emotions and illness has evolved so much thanks to Dr. Maté. I look forward to listening to his other books. The narrator did an exelent job. 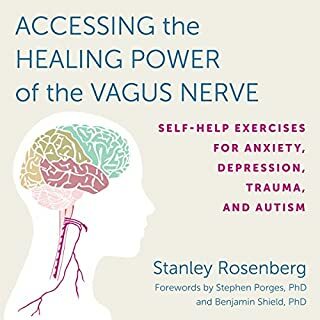 Healing is an Inside Job ..
A very nice exploration into the connection between our mental and emotional health and illness. 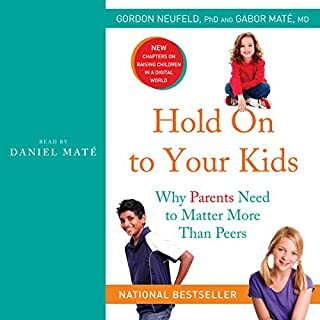 Very good book, sure connection between body and mind, very examples and stories.Love it.